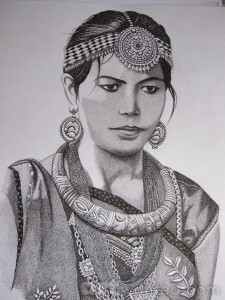 In a country as ethnically diverse and rich as Nepal — perhaps in no other country of comparable size are found so many distinct peoples, cultures and languages — it is little surprising that race/ethnicity provides the inspiration to quite a number of artists in depicting portrait, or life and daily living style contexts for their preferred art subject form. Photography too is doing work in this important area, of mapping and recording in ethnicity in Nepal. The work of the ethnographic artist is doubly important, for through it they record cultures that are in danger of disappearing or at least losing some of their distinctness. 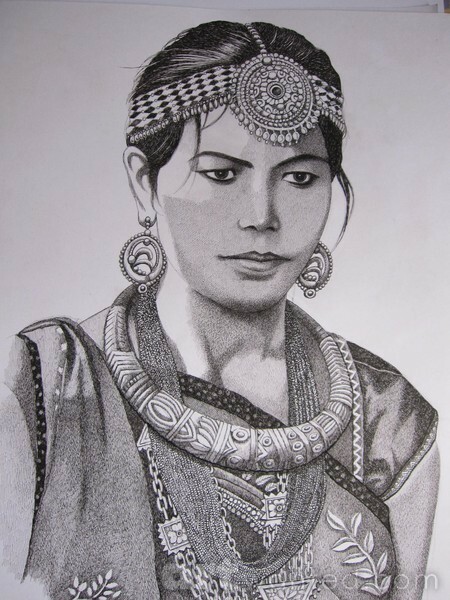 A piece of work ‘Tharu Lady ready to celebrate New Year’ by the renowned Nepali ethnographic artist, Sushil Thapa, is shown above.